Today or tomorrow with the Padres and Harper. Boras has met with other teams including 2nd and 3rd meetings (not sure if the Phillies are part of that). Nothing is close. 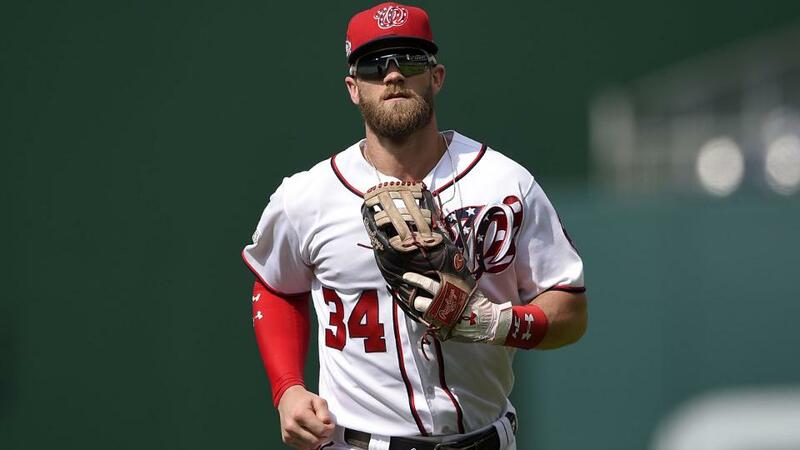 I was kind of expecting the Padres to get in on Harper, since he supposedly prefers the West Coast and they are the only West Coast team really with the ability to get in on him. I don't know that he necessarily prefers the West Coast - there was never any indication he wanted out of DC, and if it was the Cubs rather than the White Sox chasing him he'd happily be in the Midwest too. But it's certainly close to home. Does anybody do the legal gambling now that is available in NJ and PA? An over/under on Harper's signing day would be an excellent prop bet. Would definitely take after February 15; not sure about February 28. If they delay much after 1 March, I think their value goes down, as the risk of injury goes up and time to bond with team goes down. Value also goes down, because the acquiring team loses chance to trade the now superfluous guy from the roster. If the Phillies had planned to sign Manny for 3B and then trade Franco, the return for Franco was driven down and that reduces the net value of Manny. Not sure I put too much stock in the Padres rumor for Harper as they made a pretty big point of moving Myers back to the OF a couple of weeks ago. They do make sense for Machado, though this looks more like a Boras trial baloon to make sure there are more than 2 potential destinations for Harper (Philly and DC now). The Nats are probably not offering the money Harper wants and the Phillies might still go for Machado. I expect Harper and Machado to sign in the next 2-3 weeks. Probably won't let training camp get too far. Biggest reason is that there will not be more money for these players extremely late in the process. That is more of an issue for mid-level players that might drop in price for some teams. Harper and Machado will still get large contracts and the reality is that there are not going to be new teams with $300 million to spend late in the process. Yeah I don't think we are looking at an Arrieta situation, where he wasn't actually available for the first week of the season. But they are still on the same timeline as Martinez and Cain last year. I'm sure the Phillies would rather save $50 million than improve Maikel Franco or Nick Williams' trade value. They could sign either guy tomorrow if they actually wanted to meet the agents' current ask. They know they aren't going to have to. it's interesting that Bryce Harper would post the same post on Twitter that Rhys Hoskins had on Instagram and then Hoskins liked it on Twitter. Stepping back it is perfectly understandable for Harper and Machado to wait until after the Super Bowl. While things could stretch into training camp, there should be lots of movement the next 2 weeks when baseball starts getting a little more national attention. At a certain point the Harper and Machado deals are not about bargain shopping. There is a scarcity of stars. The teams should also have an idea of what the market looks like now. Only certain teams can afford these players so there is not much benefit of waiting like there will be for the next tier (i.e. Keuchel, Kimbrel). All I'm saying is that yesterday, today, and tomorrow we are enjoying spring like weather. My son and I broke out the gloves and a baseball for a little catch, and I could really, really use the sounds of a baseball game on in the background right about now. 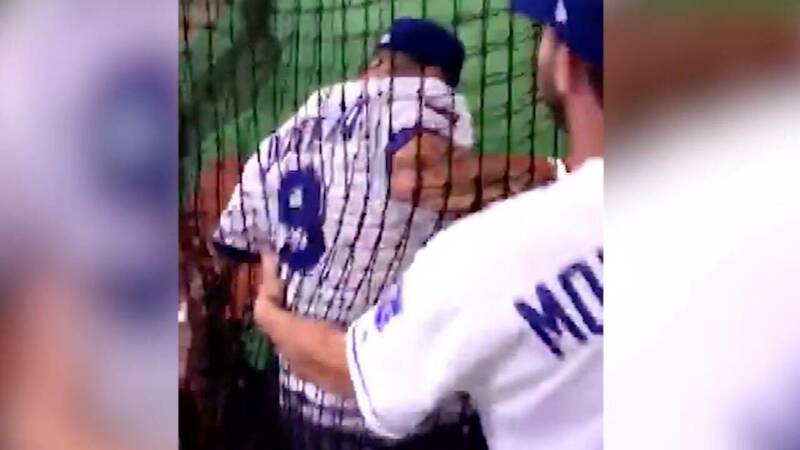 Royals catcher Drew Butera had never caught a softball pitcher before last Tuesday at Kauffman Stadium. He came away impressed by practice tosses from Oklahoma star Paige Parker, who threw out the first pitch before the game. One of the funniest moments a couple years ago when Butera never expected a softball pitcher to throw so hard. Phillies are apparently back "in" on trading for Realmuto. Its all just tweets and mirrors at this point. #Phillies recently checked in on #Marlins’ Realmuto, sources tell The Athletic. Phils, like many teams, routinely monitor markets for top players in trades and free agency. Continued availability of Realmuto led to renewed communication. No indication deal is close. How's his defense? Is he one of those traditional backup catchers (good behind the plate, weak hitter)? Any Realmuto deal would have to be centered around Alfaro, right? Is Alfaro, one of JoJo, Medina or Howard and someone in the 8-13 range like Muzziotti or Gamboa enough? I'm not giving up that much...I like Realmuto but I don't see him as a must have.